As of 2017, the idyllic Koh Samui still does not offer a standardised public transportation system. Most people think getting around Koh Samui can be frustrating and expensive. However, you’ll be surprised to learn that it’s not difficult to get around the island at all! The main road around the island (circumference) is approximately 55 kilometres. It should take roughly one hour to drive around the island. 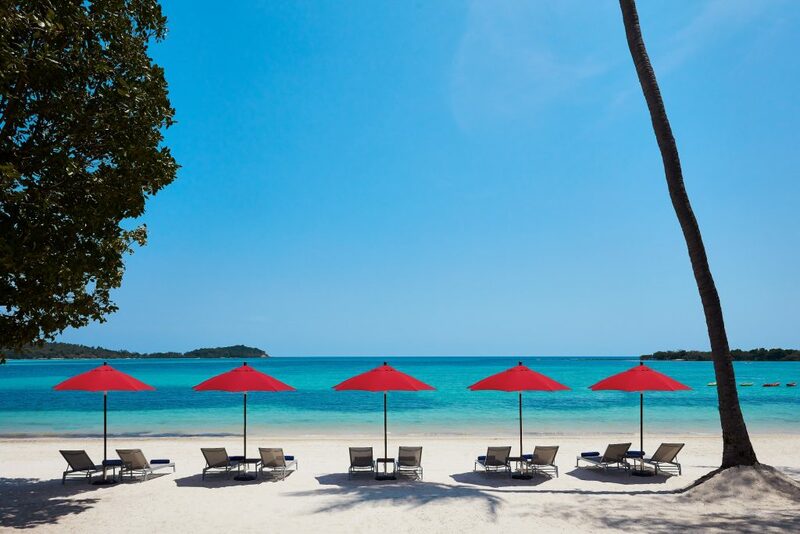 Given Koh Samui’s cosy size, there are many travel options available to suit any distance and budget. The two key modes of getting to and from Koh Samui would be via airplane or ferry. You can fly directly to Koh Samui from many international and domestic airports. There’s only one airport on the island though, which is operated by Bangkok Airways, although nowadays there are also two flights per day by Thai Airways. Alternatively, you can catch a low-cost flight or train to Surat Thani or Nakhon Si Thammarat, and then take the ferry or speed boat to Koh Samui. This can be little confusing if you don’t know exactly how many and where are the local ports are when setting up your pick-up when you arrive. Seatran Ferry –Walk-on passengers and cars can travel from Donsak pier to Nathorn pier every hour starting 5 AM until 7 PM daily (subject to weather conditions). If you purchase your plane tickets from NokAir, you automatically travel with Seatran ferry. Raja Ferry –Like the Seatran ferry, the Raja ferry also takes walk-on passengers and cars from Donsak to Nathorn pier hourly from 5 am to 7 pm. If you book your plane tickets (inclusive with the ferry) to Surat Thani Airport with Air Asia, you automatically travel with Raja Ferry. Lompaya ferry –Will not accept cars, only walk-on passengers. The Lompaya speedboat ferry also leaves from Donsak pier and goes to Nathorn pier. Getting around Koh Samui isn’t too difficult. Here are a few options you can choose from. 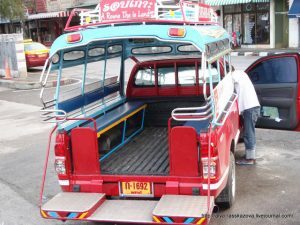 Songthaew means “two benches”. It’s basically a pick-up truck with two benches as seats and a roof cover. Nowadays, local songthaew normally have their destinations with no official stops, so you can flag a ride down if where you want to go is within their route. 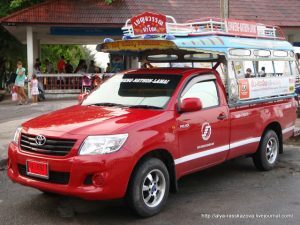 Taking the songthaew is the cheapest option when getting around Koh Samui: prices start at 50 THB. However, songthaew will operate as private taxis at night. Be sure to discuss the price with the driver before you jump in. The most popular way of getting around Samui is definitely by motorcycle, as it’s very convenient and cheap to rent! Rates start at approximately 100-300 THB per day or 2,000-4,000 THB per month. However, please be aware that driving a motorcycle can be very dangerous, as there are many steep slopes around Koh Samui! For a more comfortable option of getting around Koh Samui, renting a car would be the best choice for you! Car rentals can normally be found around the airport and Nathorn pier, so if you have made an advance booking, you’ll a car ready to go. Renting a car starts from 700 THB per day for a small car, usually without insurance. Just to be safe, we recommend you rent from a well-established local or international company. It should cost approximately 2,000 THB with insurance. There is only one taxi company on the island, and all the cars are yellow and maroon. 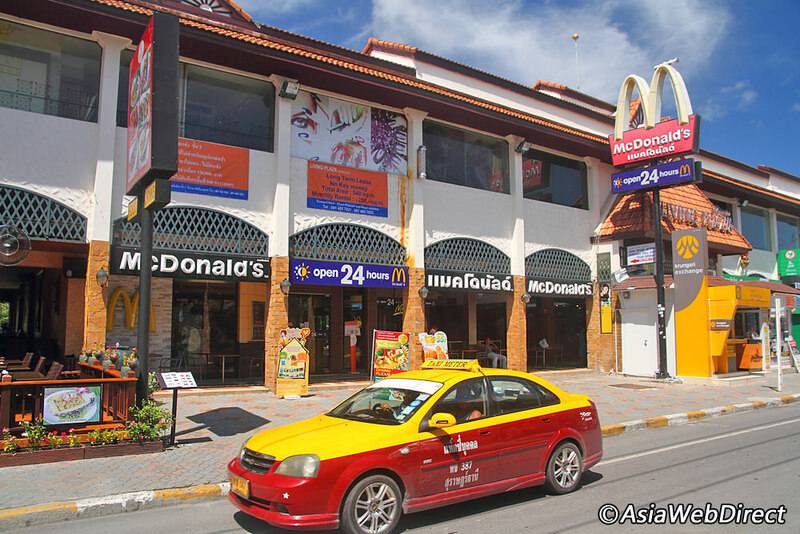 Getting around Koh Samui by taxi is the most expensive method of transportation. While many taxis do have a meter, very few ever use it. Drivers will prefer to negotiate the price with passengers. The price will be various This will range depending on the destination (e.g. from Nathorn pier to Chaweng may cost 1,000 THB one way, and Chaweng Beach to Lamai Beach is 400 THB one way). Given all your transportation options, taxis are certainly the most comfortable, well-maintained and are air-conditioned. Moreover, they will also take you directly to your destination without following fixed routes. 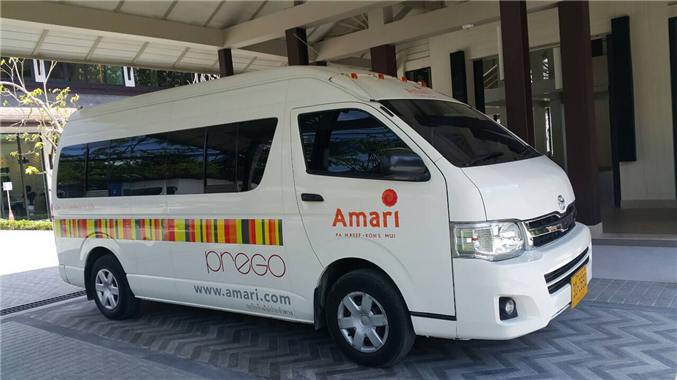 Last but not least, our Amari transfer is great for arriving through Samui International Airport. If you book directly with us, we offer this transfer service – all you have to do is provide your arrival and booking details. The cost is 400 THB one way or 800 THB return. It’ll make your trip much easier and brings you right to our hotel. 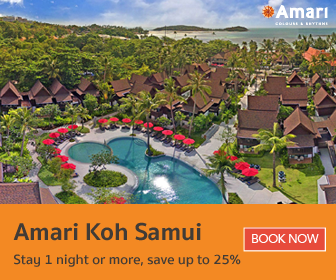 For more information on Amari Koh Samui’s transfer service, please call +077 300 306.